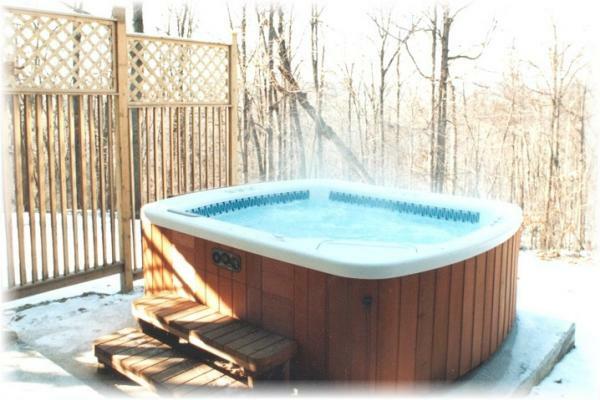 PROJECT DESCRIPTION: Exterior Whirlpool - Level grade; build multilevel concrete platforms; new electrical supply; install tub; build custom, 8' tall 100' long privacy fence. "...Again, just like the prior job you did for us, everything came out really nice... the multilevel platform was a great idea...the privacy fence you designed and built is working just like you said it would: hiding the neighbors but not the scenery and the light...we just can't wait for the spring to do the tiling and the landscaping." - Artemio Rivera, Mohegan Lake, January 1997.